Change cameras? Not On Your Nelly. 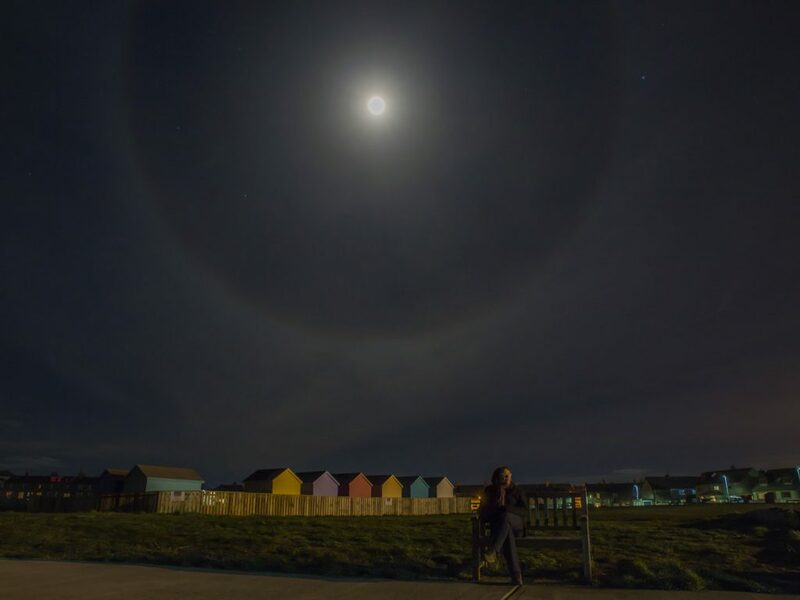 We usually think of the moon being out at night. 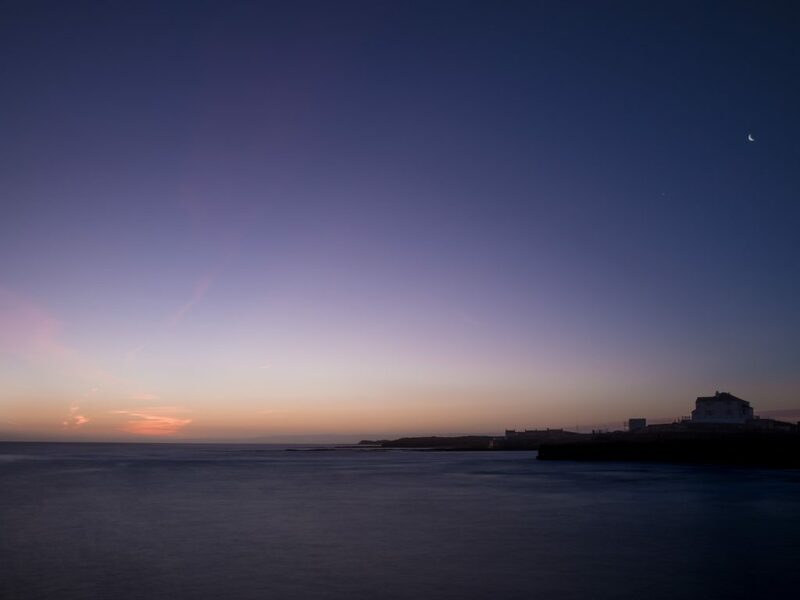 But our closest neighbour in the skies can be photographed at dusk and dawn. I am a fan of daytime lunar photographs. Evening views looking crisper and clearer than those taken at the end of the day. Shooting the Moon adds magic to a shot. The early morning atmosphere carries less dust and there is no heat haze. 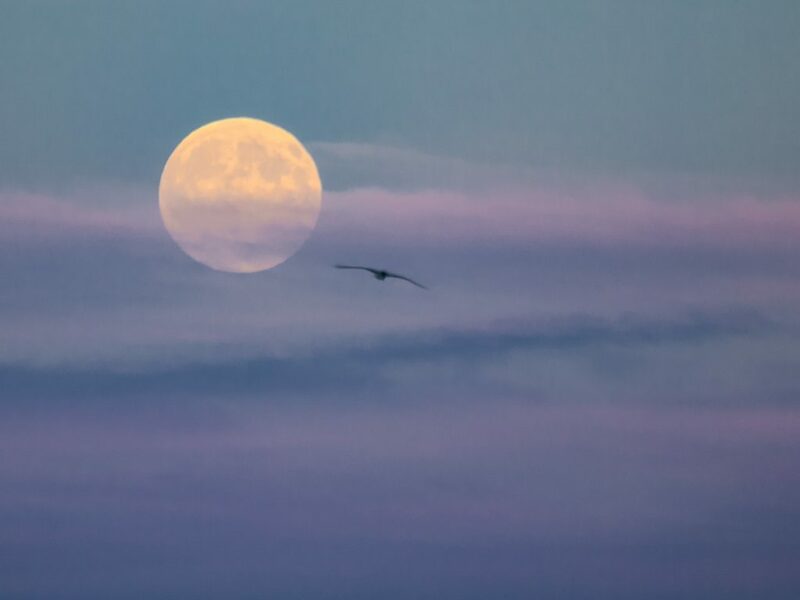 A full moon rises at dusk not dawn. 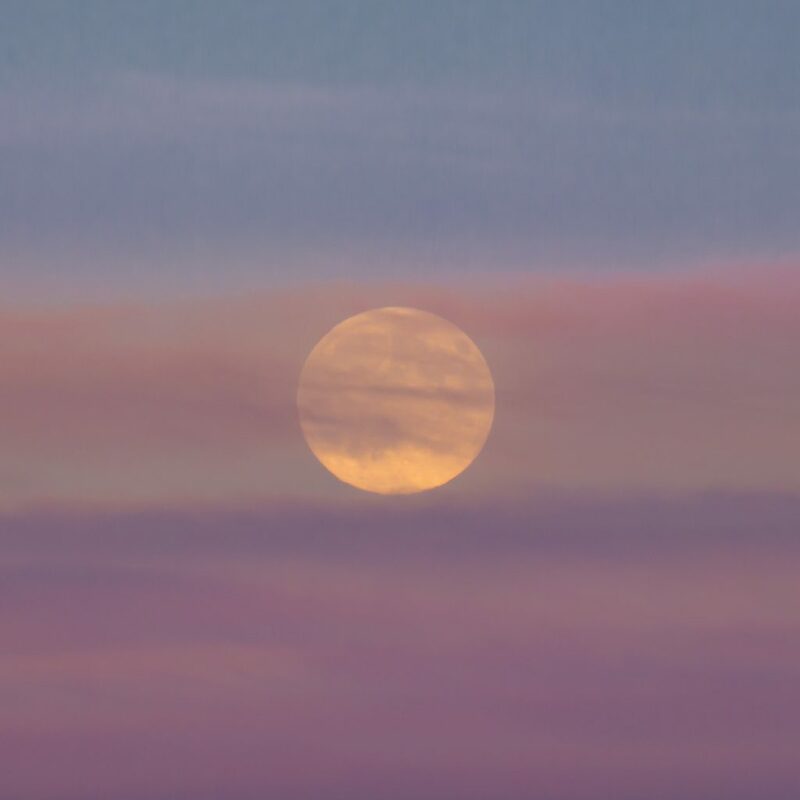 Besides the haze, of the twelve full moons a year around two thirds are obscured by cloud. So, getting a crisp and clear view of a full moonrise is challenging. I was on Warkworth Beach. 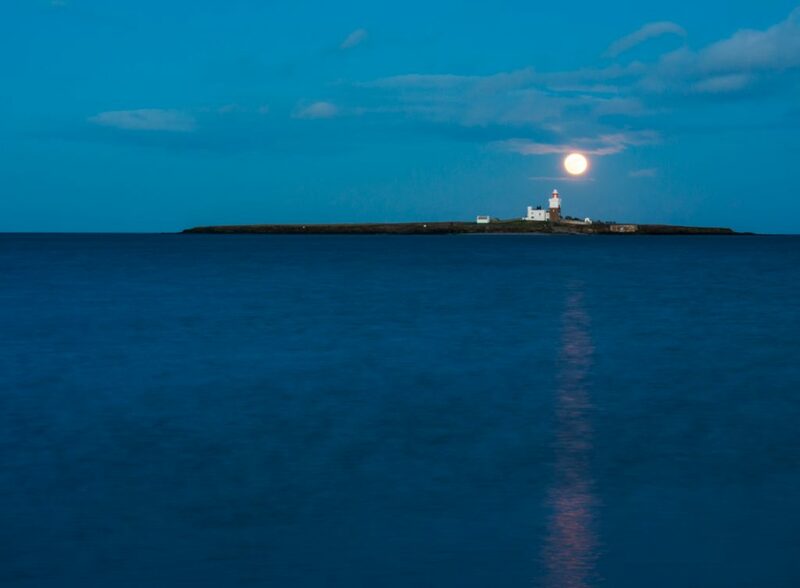 It was the end of a beautiful summer’s day and I knew these were not the perfect conditions to capture the ‘big-moon-behind-Coquet-Island-shot’ that I envisaged . Looking along the beach toward Amble I could see a thick haze that would obscure the moon as it peeked above the horizon. It was unlikely I would see it behind the island, so I repositioned myself to capture it above the sea. Because it’s easier using live view than peering through the camera’s viewfinder when the camera is on a tripod, I composed the shot on the camera’s LCD screen. I knew where the moon would be coming up from using The Photographer’s Ephemeris. Live view, when shooting with a DSLR, reduces camera shake from mirror bounce; the mirror is already locked up. With a mirrorless Compact System Camera (CSC) this is less important. One some CSCs, including the Olympus OM-D E-M5ii and Olympus OM-D E-M1ii, which I use, are anti-shock modes so even the movement of the shutter is negated. Wanting the moon to appear large in the frame, I attached a long lens. The 1/80th second shutter was just fast enough so distant birds’ movements were not overly blurred. I decided against increasing the camera’s sensitivity beyond the native ISO 200. I wanted the maximum possible resolution without increased digital noise. Still I waited and shot what was going on around me with my second camera. 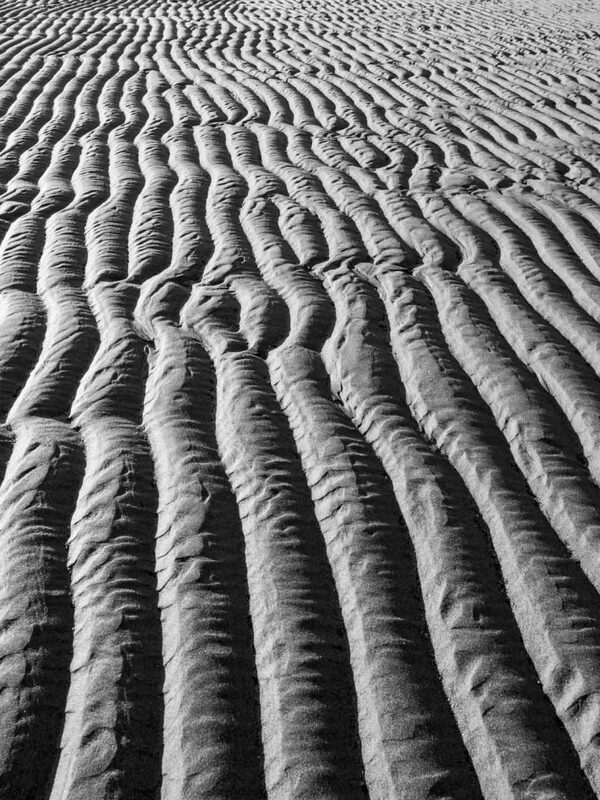 The patterns left in the sand by the waning tide looked amazing in the low-angled light. 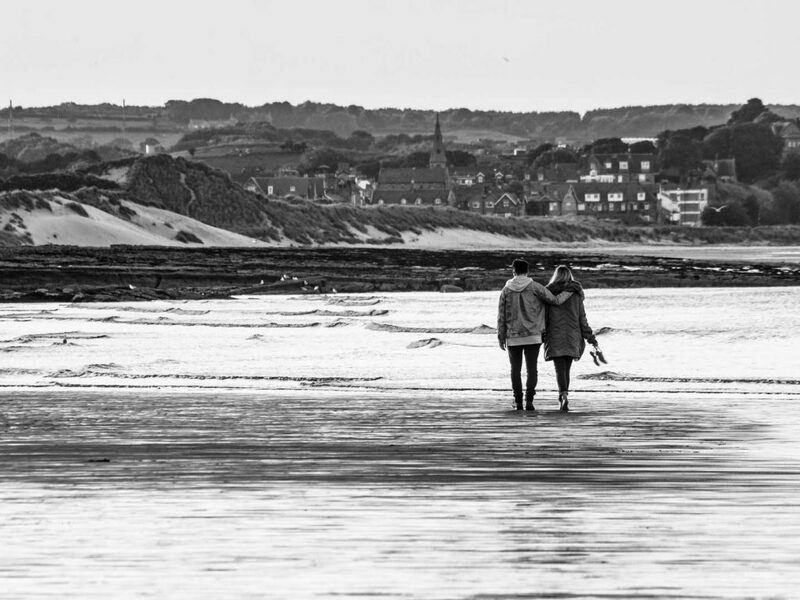 A couple walking hand-in-hand along the shoreline made a super image too. There is a lot to be said for standing in one spot for half an hour and observing the world. 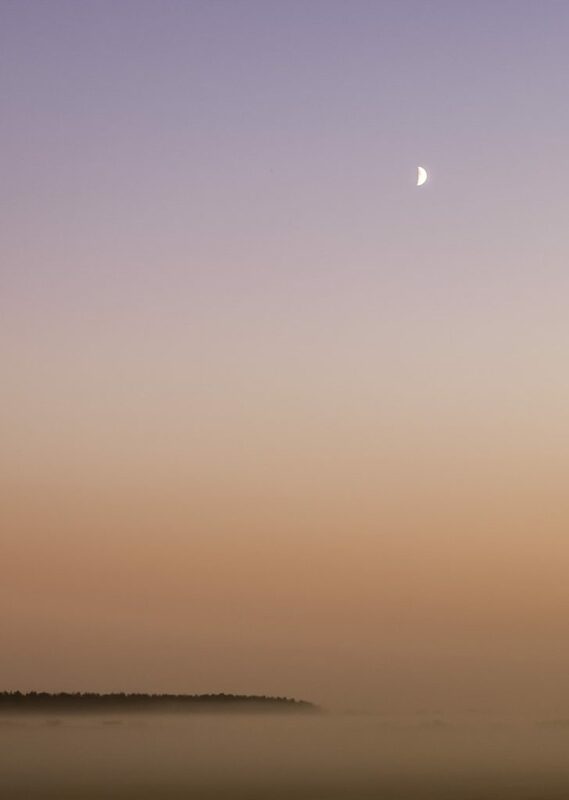 Checking the time, I knew the moon was well above the horizon, but I still could not see it. I was distracted momentarily by three arctic terns squabbling above my head. Then, glancing back, just breaking through the pink evening haze, there it was. Then, moments later an arctic tern flew into the frame. Click! Really helpful info Ivor and fabulous shots ! Inspiring me to try this sort of photography. Can I ask you to describe what long lens you recommend for moon shots? Hi Teresa, those shots were taken at around 100mm. There are lots of lenses on the market that would be suitable. The most affordable that cover a good range of focal lengths are the 70-300 (or there abouts, the range varies between manufacturers). Better quality lenses come with a higher price tag. At the moment I am really enjoying using a 1970s vintage 200mm prime lens that cost me £20! I’m glad you liked the photos. Thanks!